Our range of sinks are designed to cope with everyday life, make your sink a special feature with a contemporary above-bench design, or for seamless functionality and convenience consider an inset or under-mount sink. Kitchen - Laundry Please click on images to view our full range. Your sink is the centerpiece and one of the most used fixtures within your kitchen. Durability and design are key features to consider when creating the kitchen of your dreams. Our brands are made to withstand even the busiest kitchen. Our sinks are manufactured to reflect the most modern and innovative styles while achieving durability and practicality in the kitchen. For a clean and simple approach to laundry layout that stainless steel offers and a generous capacity. Our sink accessories will transform your sink in to a total food processing area, please browse through our selections. With its style and deep bowled design, our range of bar sinks can either be undermount or inset, offering a geometric look that can’t be replicated. 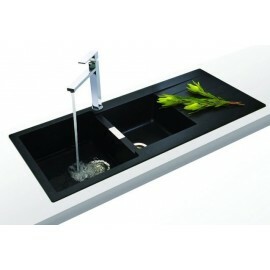 Tap is a popular choice for its ease of use and streamlined style. We offer taps in a range of sizes, styles and shapes to suit your kitchen or laundry, please browse through our selections to find a tapware to suit your taste.